Former Commissioner, Faith & Order Commission of the National Council of Churches, USA. Member of local and national dialogues between Catholics and Jews. 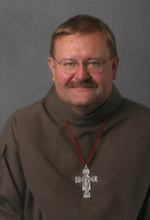 Speaker for the Week of Prayer for Christian Unity. Lecturer on Jewish-Catholic relations. Executive boad member, Christians for Fair Witness on the Middle East. Faculty, Centro Pro Unione Summer Course, Rome, Italy. 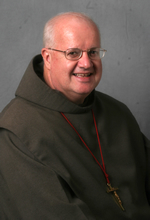 Vicar General of the Franciscan Friars of the Atonement. Former Commissioner, Faith & Order Commission of the National Council of Churches, USA. Faculty, Centro Pro Unione Summer Course, Rome, Italy. Member, National Council of Churches, USA Committee for Local and Regional Ecumenism. Director, Graymoor Spiritual Life Center, Garrison, NY. Adjunct faculty, Felician College, Lodi/Rutherford, NJ. 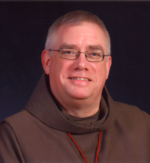 Speaker for the Week of Prayer for Christian Unity. Founded as Graymoor Ecumenical Institute in 1967 as a manifestation of the Friars of the Atonement historic charism promoting Christian unity, and strengthened by the teachings of the Second Vatican Council of the Catholic Church, the Institute became committed to the contemporary movements for reconciliation and renewal among Christian churches and communities. Originally housed at Graymoor in Garrison, New York, the Institute moved to the ecumenical setting of the Interchurch Center in New York City in 1986. In 1991, in response to developments in both the Institute and the wider ecumenical scene, Graymoor Ecumenical Institute became Graymoor Ecumenical & Interreligious Institute, demonstrating an additional commitment to dialogue between people of different religions. Working for the Healing, Reconciliation and At-one-ment of All.